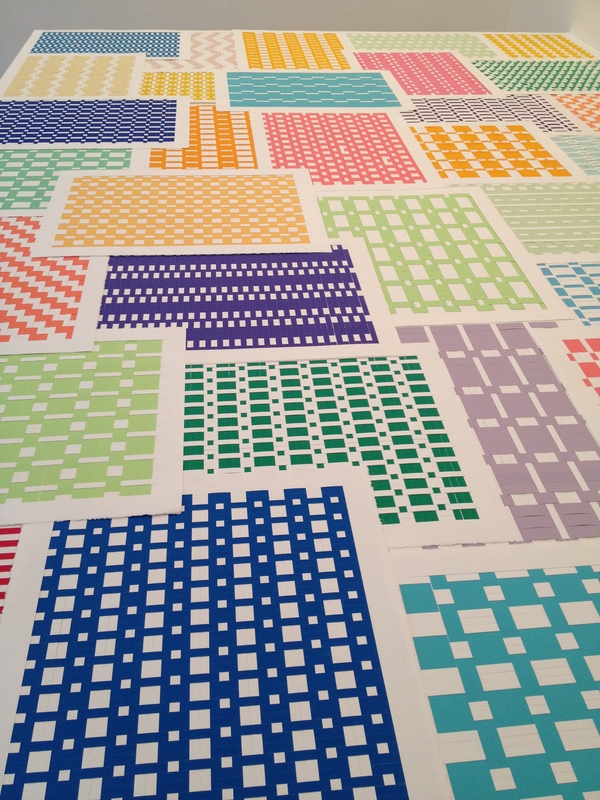 The exploration and study of pattern have been defining elements in the artistic practice of Michelle Grabner. One of the topics addressed through abstract patterning is the structures and geometries underlying weaving knitting and crocheting. Her current exhibition at the James Cohan Gallery features a large collection of her two-color paper weaving panels spread out flat on two pedestals in the gallery. The vibrant contrasting colored papers used in the weavings give the viewer a clear impression of the grids and symmetries used in each of the weaving techniques. The gallery arrangement of having many next to each other and overlapping creates an exhuberant riot of color and pattern. Grabner also creates paintings that uncover the intricate patterns created by knitting and crocheting. They are more subtle in color but incorporate more intense patterns. 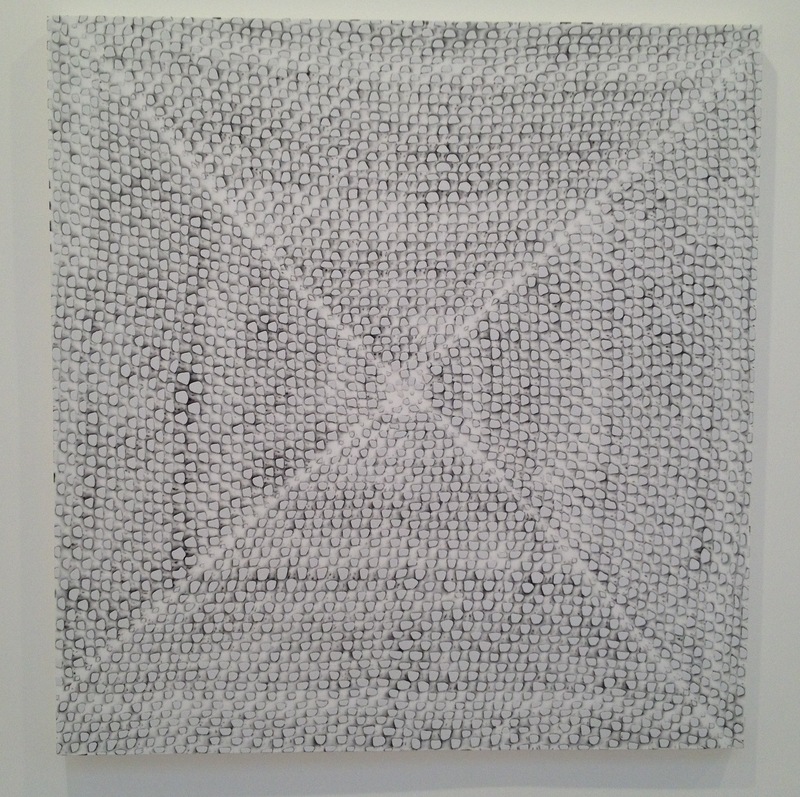 This painting on canvas is a depiction of a giant crocheted square. Removing any indication of color and focusing on the negative space, the 4-fold rotational symmetry becomes quite clear. This exhibition at the James Cohan gallery reveals Grabner’s commitment to elevating the patterns and Mathematical geometries of what could be considered “woman’s work” to the realm of abstract art. By enlarging the weave patterns and limiting each panel to two bold colors they refer to both color field painting and Op-Art. The more subtle crochet and knit canvases transpose the needle work into a minimalist vocabulary. The field of historical craft traditions has proven fertile ground for the expression of mathematical form. All pictures courtesy of the artist and the gallery.